Since 1989, Marine Technical Services been a supporter of, and has hired engineers from all the various Maritime Academies. 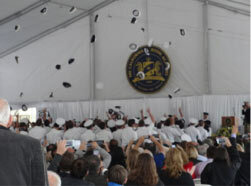 But by far, MTS has been a true friend of the California Maritime Academy. In return, CMA has supplied MTS with some of the finest Marine Engineers to ever step into the Maritime Industry. 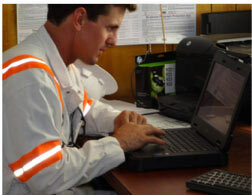 The skills required to troubleshoot and repair modern container handling cranes and equipment, especially the newest robotics and automation systems, requires a unique skill set not found in many educational institutions. CMA develops engineers who can not only design solutions, but have the hands’on skills which comes from shipboard training, which translates design into action. These skills are why MTS continues to hire and staff our crane engineering groups with qualified CMA graduates. Marine Technical Services endeavors always to give back to California Maritime, and all the other Maritime Academies, in many ways in order to foster the future supply of excellent engineers that Maritime Academies produce. Scholarships, internships and employment opportunities are all part of the Marine Technical Service’s Maritime Academy Connection.